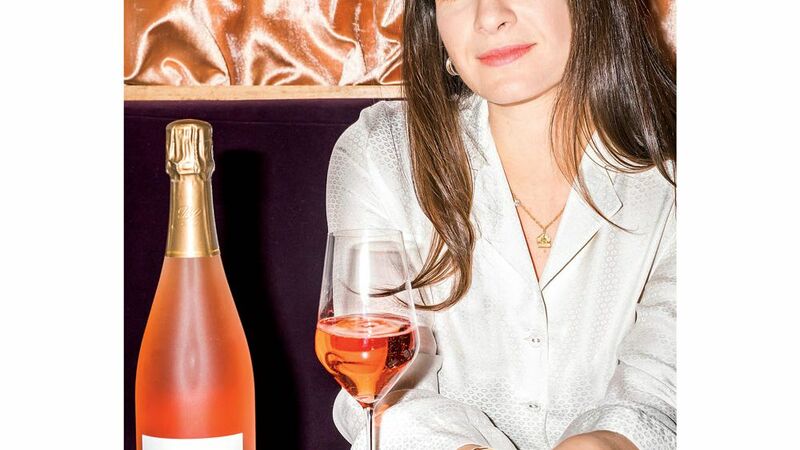 Ariel Arce,owner of Air's Champagne Parlor in New York City,wants to change the way you think about sparkling wines. F&W:What makes Air's Champagne Parlor different from other wine bars? AA:Wine-focused places often end up more about the prestige of what you're drinking and how much it costs than what's actually happening around that experience.I wanted Air's to be more about getting your friends together,hanging out,having a bottle of wine. F&W:At Air's,you sell Champagnes and sparkling wines at a minimal markup.How come? AA:I've done my best to take price out of the equation so that people can actually drink a bottle of wine that's quality-driven and not spend an arm and a leg on it.I'm lucky enough to have a 10-year lease here,so I want people to drink wine with me for the next 10 years.They aren't going to do that if they're scared of the prices. AA:No!People think about Champagne from Thanksgiving to Valentine's Day,and maybe sparkling rosé all summer,but I think of Champagne as wine 2.0—just another great way to be drinking your wine. F&W:What's the best way to preserve a bottle of bubbly? AA:A stopper,but you don't have to buy a fancy one.A little plastic Champagne stopper is all you need.They're five bucks,tops.Use one,and your wine will last fine,at least if you keep it in the refrigerator. F&W:What are your Champagne and sparkling-wine tips for entertaining at home? AA:If you're having a dinner party,get a bunch of different wines,open them all,and try every bottle.Talk to each other!Experience the wines together.There's nothing scary about that;it's fun.Plus,bubbles don't always have to be for a special occasion.You can have a bottle of Champagne every Sunday if you want.You get to create your own life,right? but not in the way you know it—with fierce fruit as well as beautiful acidity.I like to drink it over ice with a slice of orange." "The extended aging here makes for a complex,fresh style of Cava.It's got the power to drink with dinner,plus the bright acidity to pop beforehand,too." "Fermented in oak,this tastes to me like a cold brew and cream—refreshing,toasty,and rich.Any recent vintage ('10,'11,'12) makes for a great special-occasion bottle." "Alex Chartogne's 100 percent Pinot Noir bottling testifies to his dedication to terroir.It's super dry,with slight hints of blueberries,cream,and lemon." with a very full glass of this."